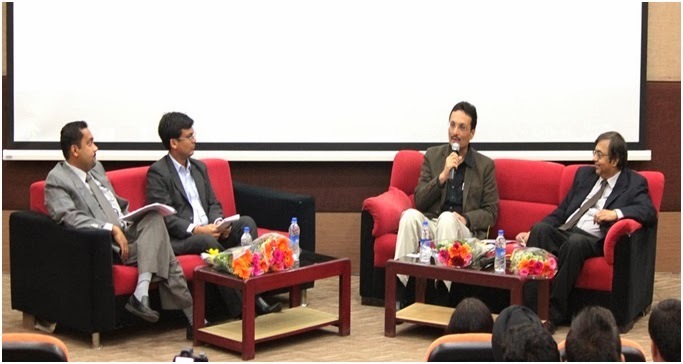 Confluence, an annual consulting conclave at Sydenham institute of Management Studies, Research and Entrepreneurship Education (SIMSREE) is a platform to discuss the current issues plaguing the nation from the viewpoint of a consultant. 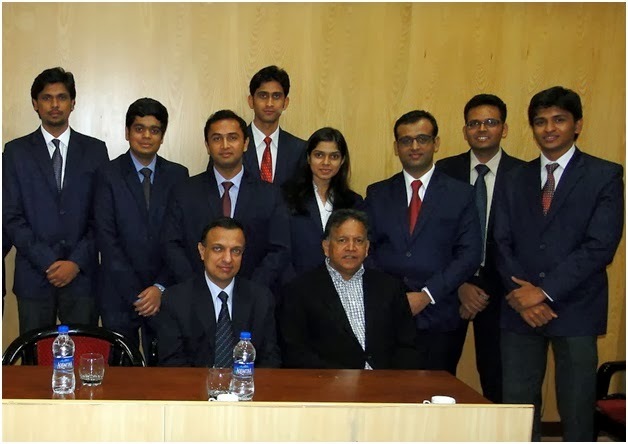 Confluence ’14, sponsored by LIC India in association with Syndicate Bank was held on 25th January, 2014. Organized by SIMCON, the consulting club of SIMSREE, Confluence’14 saw a plethora of senior professionals from diverse functions and industry discuss the challenges and possible solutions to the problem that is currently grappling the nation and also the theme of Confluence ’14 – “Business Sustainability in a VUCA (Volatility, Uncertainty, Complexity and Ambiguity) world". With the lineup of star professionals as speakers and panelists, quality opinions and discussions on sustainability and an enthusiastic and an inquisitive audience to complement the above, the event surely had to be a huge success! Confluence ’14 began on a high note with the Chief Guest for the day Mr. Sridar Iyengar, Ex- Chairman and CEO, KPMG and Co-Founder, The Sounding Board addressing the batch on the attributes necessary to achieve stability in times of uncertainty. He stressed on the importance of an individual needing to connect different aspects of business viz. Human Capital, Technology, Data, and Experience among others. This was followed by the speech by the Chief Speaker Dr. Nachiket Mor, Head of the financial inclusion committee setup by RBI and the chairman of CARE. Mr. Mor spoke about the need for financial inclusion in the nation and stressed how banking needs to spread across the nation covering thoroughly the rural areas of India. 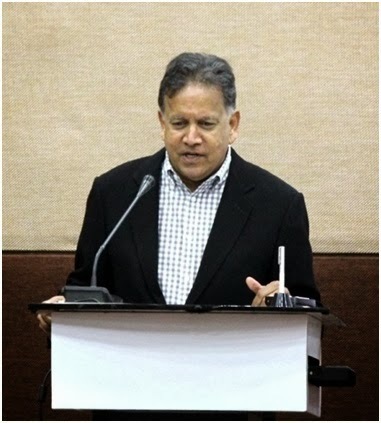 He opined that currently supply side needs to broaden to cater the banking demand and he suggested serving this need through use of technology like ‘Prepaid Payment Instruments (PPI)’ with the help of mobile service providers, through appointing business correspondents who would act on behalf of the banks inter alia. Post the speeches by the chief guests, panel discussions took place. The first panel had an incredible lineup of speakers coming from background ranging from management consulting to banking to entrepreneurship. The panel comprised of Mr. Gaurav Bagaria, Senior Manager at EY, Mr. A. Narayanan, COO Finance, HSBC and Mr. Chandrasekharan Tatapudy, Co-founder, Yasham P2D Lifesciences Pvt. Ltd. The panel was moderated by Mr. Yatrik Vin, Sr. VP, NSE. The panel discussed about the “Opportunities for investment in India”. They concluded the discussion by suggesting on having a balance of inorganic growth (through M&A overseas and within the nation) and organic growth through correction of policy paralysis resulting in an investment friendly business environment. 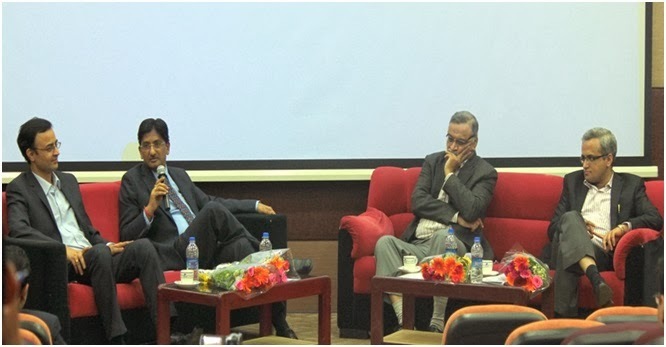 The second panel discussion began post the lunch break and this panel comprised of Mr. Anuj Bharagava, CEO, A B Associates, Mr. Sandeep Kothari, Director, Capgemini Consulting and the very own alumnus of SIMSREE Mr. Parag Risbud, VP, Avalon Consulting. 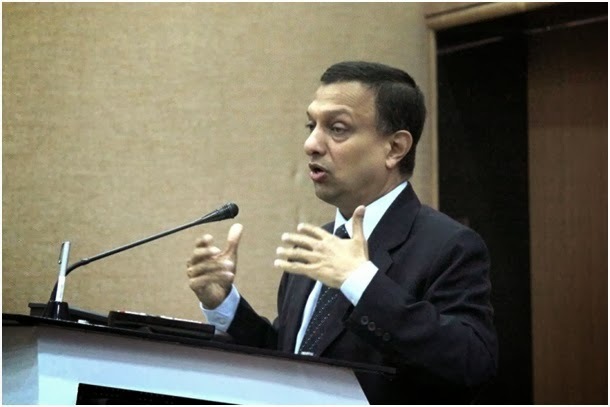 The path for the discussion was traced by the moderator Mr. Suresh Mhatre, VP, TCS and the President of IMCI. The topic for the panel was – “Overseas avenues for Indian products and services”. The panel suggested improvement in our trade competitiveness through increased exports is possible through policies that aim at catalyzing them, identifying specialized products and services which India is capable of offering at a premium price, developing ability to value add and finally tapping the full potential of Indian consumption. The speakers were deeply impressed with the nature of the questions posed to them by the batch and according to them this reflected the batch’s awareness about the recent happenings in the world. SIMCON is determined to continue its tradition of linking the theoretical management concepts to the real world business problems by interfacing with the industry and we strive to make sure that the next version of Confluence is bigger than Confluence’14. Thank You SIMCON for arranging Confluence ’14 and giving us the opportunity to hear from the insightful speakers and panelists! Keep it up!